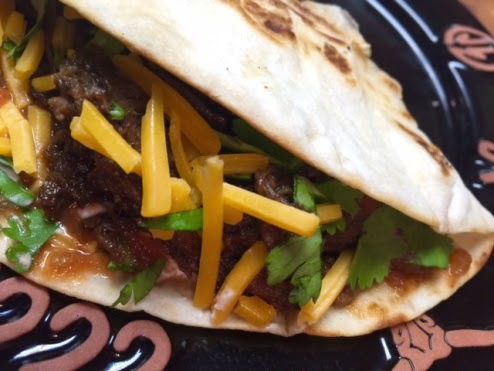 Kids, Cows and Grass: Big Bold Beef Carnitas -- pressure cooker recipe! Big Bold Beef Carnitas -- pressure cooker recipe! So I guess you can teach an old dog, new tricks--and this old dog is really excited about a new trick I learned! 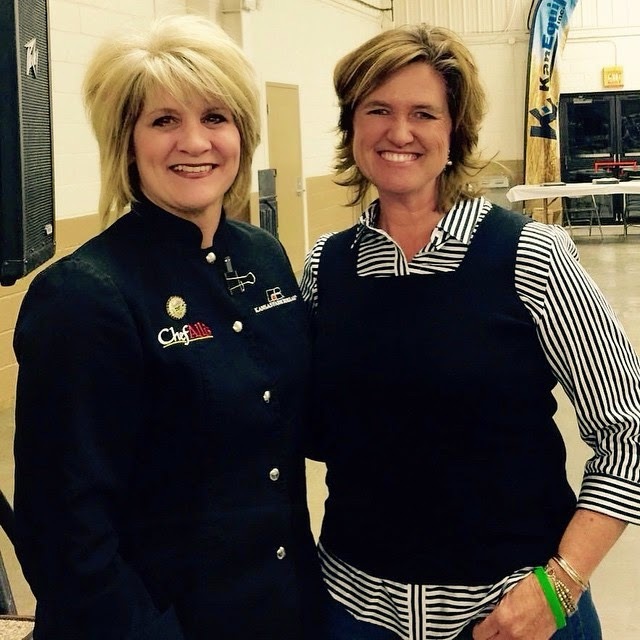 I was honored to speak about my blog at a recent county Farm Bureau meeting, alongside Chef Alli of Chef Alli's Farm Fresh Kitchen. She brought along her electric pressure cooker and made a delicious, unique recipe unlike any I've ever had...and it was all ready in 25 minutes! Big Bold Beef Carnitas, or so it is named on her blog. We had a little fun with me stirring and pouring ingredients into her pressure cooker on command--with my mom and sister in the audience, as well. Alli first had me season the beef roast and brown it right in the pressure cooker...then we added the liquid and seasoning, including orange zest. She handed me the zester and an orange and with a smile on her face said, "do you know how to zest?" I was sure this was a trick and looked out to the audience and asked my mom, "Did I never learn to zest?!" Luckily everyone laughed and Chef Alli taught me the correct way to zest! And boy did that make a difference!!! Anyway, the morning after our speaking engagement, I hustled out to the store to look for an electric pressure cooker...and struck out. None to be had in Manhattan, KS. So instead I bought 3 zesters and 3 oranges and delivered them to my sister and mom and kept one for myself! Then I got online and ordered an electric pressure cooker! But I couldn't wait to share the recipe with my husband, so I made Chef Alli's Big Bold Beef Carnitas in the crockpot. Not quite as good, but still pretty dang good! She paired them with her spicy cole slaw and a lightly toasted tortilla. DELISH! So check out the links and then you will fall in love with her blog! And you may find yourself looking for an electric pressure cooker and a zester! Just so you know, my pressure cooker arrived in the mail on Wednesday, and I had been working outside with the cattle all day. I was dog-tired, dirty and hungry. All I wanted was a hot shower and something to eat. Soooooo...I unpacked my new handy dandy pressure cooker, threw some frozen chicken breasts, pesto sauce and mushrooms in it, set it for 25 minutes and headed to the shower. When I got out of the shower (yes, I took a loooong hot shower) I could smell dinner! It was ready before I even had a glass of wine poured. EXCELLENT purchase! Thanks, Chef Alli! I love cilantro so we added a bunch to her cole slaw. I am interested to hear what you think of cilantro---love it or hate it? I love it; Daren went from hating it to tolerating it. So fresh and bright a flavor! I think one of the keys to the pressure cooker is to brown the meat first...that is according to Chef Alli! She says "brown" is not a color, it is a flavor! !